Raynier Fernandes and Modou Sougou a goal in either half for Jorge Costa’s side. 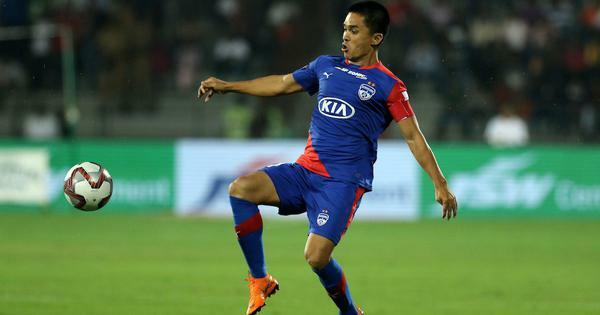 Local boy Raynier Fernandes and Modou Sougou scored on either side of the break as Mumbai City FC defeated Chennaiyin FC 2-0 in their Indian Super League match in Mumbai on Thursday. While 22-year-old Fernandes (27th minute) opened Mumbai’s account, the lead was doubled by Sougou (55th minute) with a header as the hosts with this win raced to the second position in the points table. Both teams began on a steady note. In the 10th minute, a defensive error by Anirudh Thapa helped Sougou take control of the ball. Sougou put a through ball for Rafael Bastos inside the box on the left but his shot didn’t have enough power to trouble Sanjiban Ghosh. However, soon after that Mumbai intensified their attack and the move paid off as Raynier drew first blood. Bastos made the run from the left side and found Fernandes unmarked at 10 yards from the penalty area. And the former Air India player’s grounder beat a diving Ghosh. For Chennaiyin, their best chance came in the 32nd minute when Raphael Augusto beat his marker but his feeble attempt was saved and striker Carlos Salem couldn’t capitalise on the rebound. 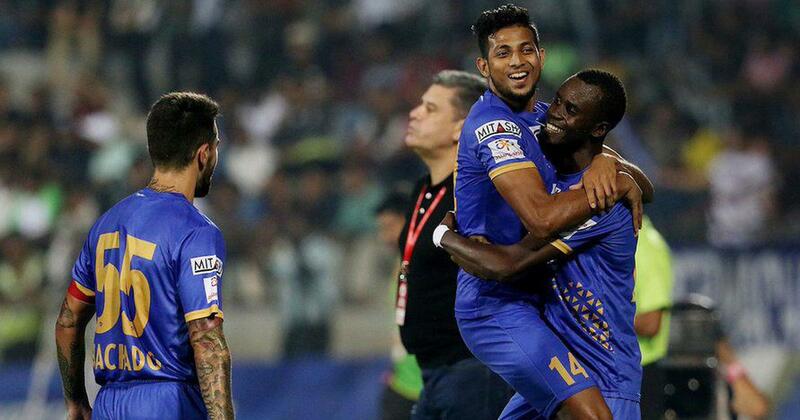 Mumbai could have gone 2-0 up in stoppage time, but Sougou shot’s clipped the bar as the first half ended. After the change of ends, Mumbai extended their lead to 2-0, courtesy a brilliant header by Sougou in the 57th minute. Bastos combined with Sougou for Mumbai’s second goal. Bastos sprinted inside the 18-yard box to take a shot which was parried away and Sougou headed the rebound home. Chennaiyin kept creating chances but could not convert any of those as they were outplayed by Mumbai.